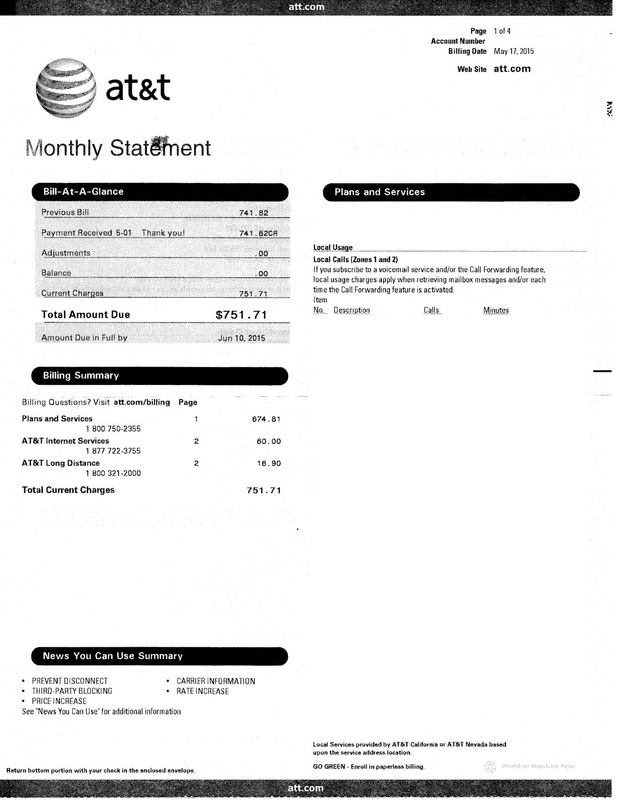 Here is an ACTUAL Phone Bill from AT&T for 5 phone lines and UVERSE. Phone connectivity is dependent on many factors outside of my control. These include but are not limited to internet connection loss, packet loss due to router congestion, voice over IP termination end point failure, denial of service attacks and power loss.